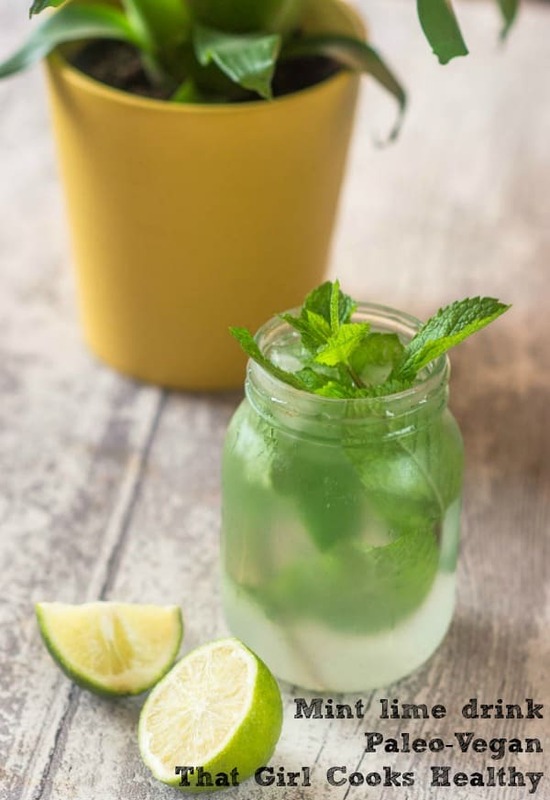 Mint lime drink recipe – a simple detox drink consisting of fresh limes with mint leaves. Great for weightloss or serve as fruit water. It’s been quite some time since I made a mint lime drink, in fact since the summer has commenced, I’ve totally deprived myself of this refreshing drink. Refreshing is the most appropriate word for this drink, it’s the type of drink to quench your thirst on a boiling hot day. Imagine coming home after a long day at work or a hectic day running errands. Well this drink is sure to remedy your thirst and replenish the body. 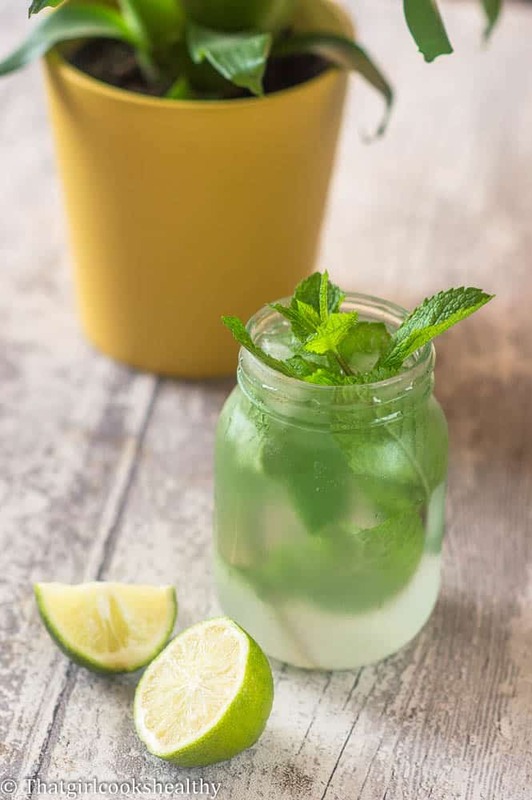 Lime is packed with vitamin c, although a slight contrast to its sister citrus fruit Lemon, doesn’t contain a huge amount of vitamin c, though still in abundance. Vitamin c is perfect to strengthen the immune system and boost collagen. I would even go as far as rendering this drink a beauty drink, as vitamin c helps to repair the skin. Here’s an interesting fact for you, this is a water soluble vitamin which means the body cannot store it, we need to obtain it from food. The body will utilise what it requires and expel the excess via urine. 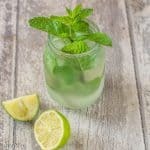 This drink really pairs well with mint; the mint is particularly refreshing yet cooling with the citrus flavour. 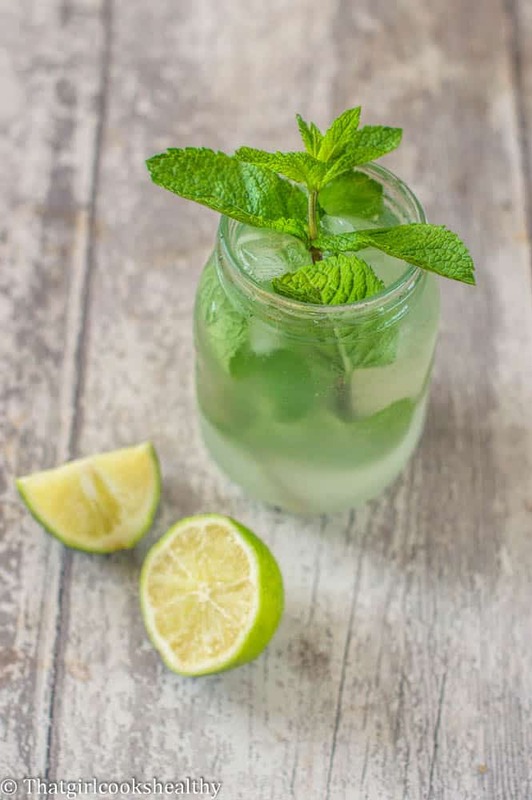 Another good thing are the properties of mint, this herb aids indigestion, has a strong anti inflammatory effect and great for settling the respiratory tract (i.e sore throat). Therefore this drink not only tastes great, it contains many medicinal properties. I added about two dates to take the edge off the strong citrus flavour and give a very subtle sweet taste. Approximately two limes are all you need, with 1 cup of water and a handful of ice. I added the ice cubes separately to the blender and crushed them within 10 seconds. This sounds perfectly refreshing. I love that it uses dates too. It is indeed. The dates offer a slight hint of sweetness, certainly not overpowering though. I have everything needed right now to make this so I may give it a try soon.